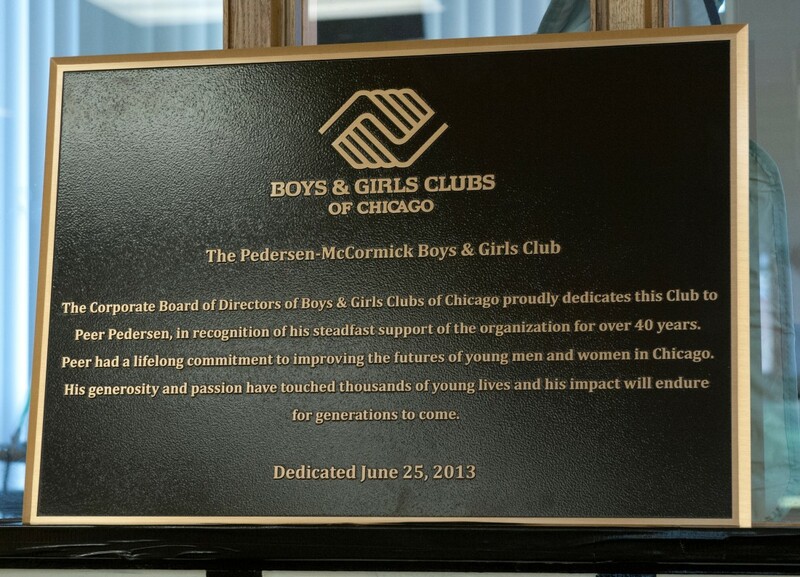 In an unprecedented act, the Robert R. McCormick Boys & Girls Club was renamed the Pedersen-McCormick Boys & Girls Club in a dedication ceremony on June 25, 2013. The Boys & Girls Club did so to honor the late Peer Pedersen's 40-plus years of support and leadership. Mr. Pedersen served for many years as the President of the Robert R. McCormick unit in Chicago's Uptown neighborhood. He personally contributed generously to the cause and also introduced other business leaders to the organization's leadership. This honor comes after several other formal recognitions by the Boys & Girls Clubs of Mr. Pedersen's contribution. In past years, the Boys & Girls Clubs of Chicago presented Mr. Pedersen with its "Man of the Year" award and hosted a Tribute Evening in his honor. 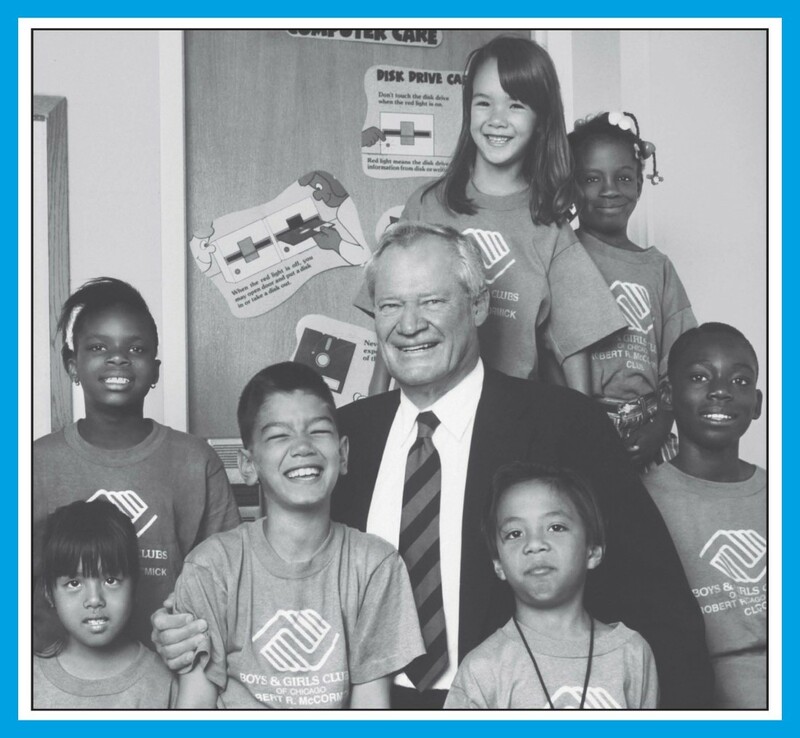 When Mr. Pedersen passed away in 2013, the Boys & Girls Clubs stated: "Though we will miss his leadership and friendship of more than 40 years, his legacy will continue to shine in each and every young person who walks through our doors for years to come." The dedication ceremony highlighted the many ways in which Mr. Pedersen embodied the organization's ideals and continues to inspire the members and staff of the Boys & Girls Clubs. The Robert R. McCormick Boys & Girls Club was established in 1958 to give hope and opportunities to Chicago's youth with the support of the Robert R. McCormick Charitable Trust, Senator W. Russell Arrington, W. Clement Stone and area businesses and residents. For more information about this organization's history, please click here. Marc Janser, Managing Partner of Pedersen & Houpt, commented: "Peer was a devoted philanthropist who made a difference in many people's lives. His dynamic presence was felt by all who knew him and he will continue to serve as an inspiration for many years to come." For more information, please click here for the Boys & Girls Clubs of Chicago's website.